Bagyong Bising is the second storm that make landfall in the 170 km northeast of Borongan, Eastern Samar, based on all available data, according to state weather bureau. PAGASA weather bulletin as of 10:00 a.m., " the center of Tropical Depression "BISING" was estimated based on satellite and surface data at 215 km East of Virac, Catanduanes (13.8°N, 126.3°E)." Weather experts said, "Bagyong Bising has maintained its strength as it continues to move north northwestward. " 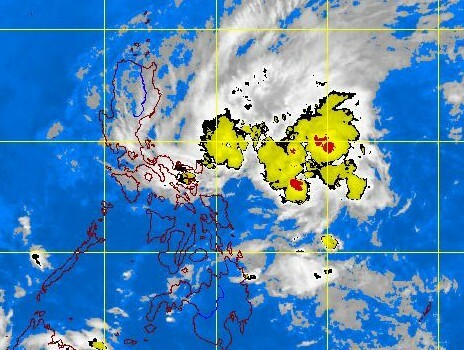 Meanwhile, PAGASA advised fishing boats and other small seacrafts not to venture out into the seaboards of Luzon and over the eastern seaboard of Visayas and Mindanao. In the meantime, please spread the news to your friends via Facebook, Twitter and Google+ so they may be informed about the Bagyong Bising Update. Comments or suggestions about "Bagyong Bising Update January 12, 2013" is important to us, you may share it by using the comment box below.